Kim Soo-geun, who heads the pro-Kim Jong-un group called Welcome Committee for a Great Man, introduced himself as a “real fan” of Kim on the show, before praising the North Korean leader for economic progress in the country and for being different from South Korean politicians. 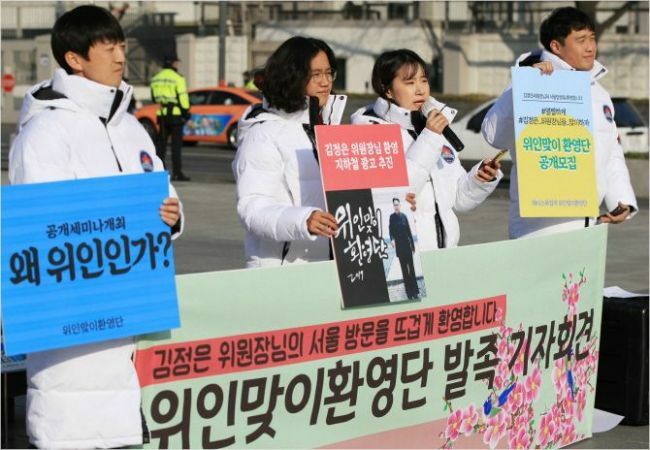 On Thursday, the show’s staff issued a statement that said “Tonight, Kim Je-dong” had taken a neutral stance, as the program had also aired criticism of the North Korean leader. However, controversy continued, with politicians weighing in. In a meeting at the National Assembly on Friday, Kim Sung-tae, floor leader of the main opposition Liberty Korea Party, took aim at KBS, describing the episode as “inappropriate” for a public broadcaster. It is not the first time that a public broadcaster has drawn flak for allegedly being pro-Kim Jong-un. In late November, a 3D puzzle for children created by Scholas Store in partnership with EBS Media was criticized for casting the North Korean leader in a positive light, which led to the company discontinuing the product.